The Volvo XC60 R-Design has a steering which you wouldn’t exactly call light. The wheel has some weight but it isn’t that heavy to cause too much inconvenience while parking. At high speeds, the steering starts gaining weight and promises a lot of confidence to the driver. Steering feedback is so-so and we would have loved it if it was a bit more. 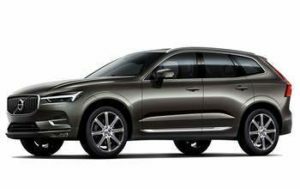 On the handling front, the XC60 really rocks and it promises a lot of fun while attacking corners at speeds you would generally do in a well-weighted sedan. The 235 section Pirelli P Zero Rosso tyres have outstanding levels of grip.